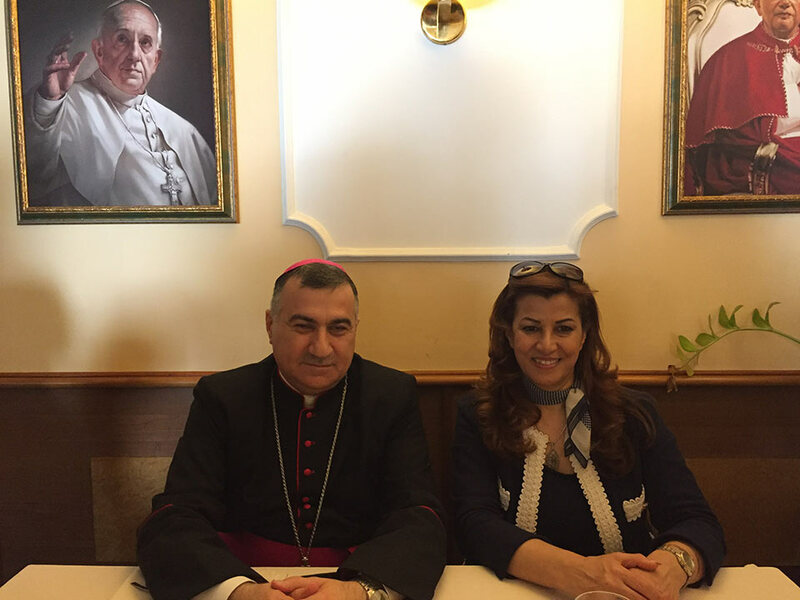 Mrs. Kader met today with Erbil Archbishop Bashar Warda, along with his staff and some Kurdish students studying in Italy. Topics of the meeting, the difficult situation of displaced Christians and not in the Kurdistan Region, and the additional aid needed to meet the growing needs, such as the plan for new housing constructions, churches and infrastructure devastated by Da'esh. Mrs. Kader emphasized how important it is to protect those who suffer and flee from wars and violence, hoping for a peaceful future and peaceful coexistence among all the ethnic religious components present.